Mokume Gane is the name of a technique (and works) that are made using a unique Japanese metal crafting technique which consists of layering different-colored metals, and painstakingly carving and forging them to create beautiful wood grain patterns. 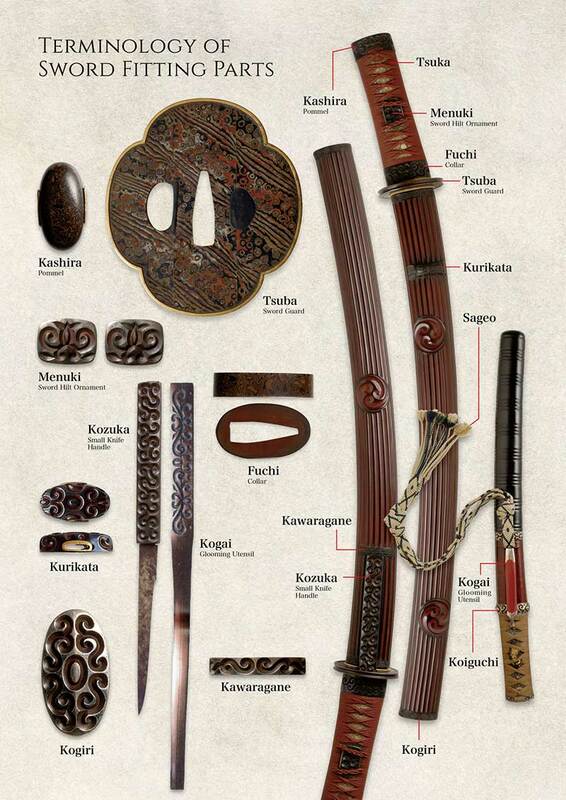 The technique was developed about 400 years ago, at the beginning of the Edo period, by Shoami Denbei who was a craftsman making sword fittings in Dewa Akita (Dewa is the current Akita Prefecture). 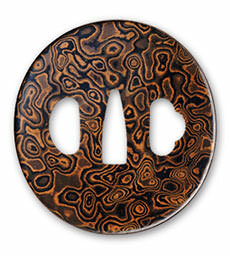 Mokume Gane was also called “Tagayasan-Ji” for its patterns resembling the Tagayasan (Rosewood) wood grain. 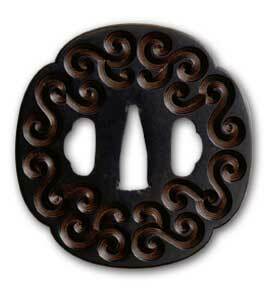 During the Meiji Era, it was also known as “Kasumi Uchi” (mist metalwork). The names Mokume Gane and mokume are also widely known around the world. It is said that the roots of Mokume Gane go back to a guribori sword guard created at the beginning of the Edo period by that same Shoami Denbei of Dewa Akita. Guribori is said to be the ancestor of Mokume Gane. It is a metalsmithing technique that consists of layering different-colored metals to carve arabesques and spiral patterns. It is still possible to discern the beautiful layering of metals on the existing guribori sword guards, even those that are several hundred years old. 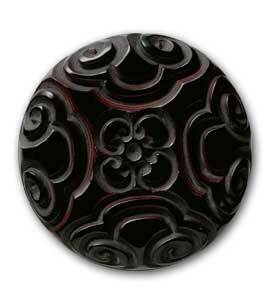 The technique known as guribori is said to originate in Chinese lacquer carving. “Guri” is a type of lacquer carving in which multiple layers of red, black, yellow and other colors of lacquer were applied successively and then carved down to represent arabesques or spiral patterns. Such works were produced during the Sung and Ming dynasties and were imported to japan from the Muromachi period on. Their use as tea ceremony utensils can be seen in tea ceremony records of the time. Once Shoami Denbei had developed the techniques of Mokume Gane and guribori, the stage moved down to Edo (present-day Tokyo). It was there that Takahashi Okitsugu perfected the technique of Mokume Gane. It was during the middle of the Edo period that Takahashi Masatsugu, the founder of the Takahashi School, was active as a skilled craftsman in guribori. One of his disciples, Takahashi Okitsugu brought new forms of expression to existing Mokume Gane techniques, creating works such as the Yoshino River sword guard and the Tatsuta River sword guard. These can be described as the pinnacle of the Mokume Gane technique which came from guribori. Ultimately, due to events such as the Haitôrei Edict (banning the possession of private swords), the traditions of the Mokume Gane techniques were temporarily lost, and these became known as Phantom techniques. But thanks to the efforts of passionate people who were drawn to these techniques, the techniques of Mokume Gane and guribori were revived. Many people have embarked on the study of Mokume Gane, and they are leaving their mark on its history. At the same time, restoration studies on guribori, which is at the origin of Mokume Gane, have led to greater understanding of the techniques, and it has now begun to find its place once more as a modern-day technique.